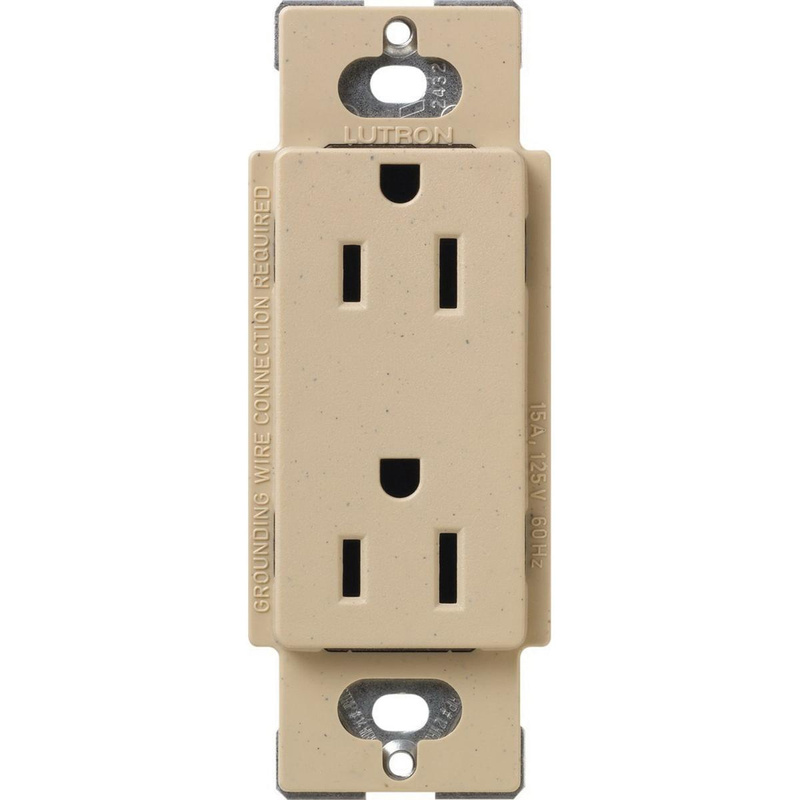 Lutron Satin Colors® 2-Pole 3-Wire Tamper-resistant duplex receptacle in desert stone/satin finish, has current rating of 15-Amps and voltage rating of 125-Volts. Receptacle features plastic construction. It measures 2.94-Inch x 4.69-Inch. It has back-wired connection for quick and easy installation. Wallbox mountable receptacle features tamper-resistant shutter mechanism. Press reset button of this receptacle allows you reset GFCI after circuit interruption. Receptacle is UL listed, CSA certified and NOM certified.